Of course the phrase "binders full of woman" turned into an instant Internet meme, but in fact Romney never asked for that information as he claimed. As David S. Bernstein explains, it's a fabrication. So Romney lied during a debate. So what, an undecided voter might ask. As has been noted previously here, the fact is Mitt Romney has been lying throughout this campaign for president. Romney dodged this question about equal pay for equal work because his campaign considers equal pay for equal work to be on the "left wing agenda." Woman, who want the same income as men for doing the same work are "leftists?" Someone might wonder why this is being covered on The Glenn Beck Review, and the answer is because 1) Beck is heavily engaged in this race and encouraging his listeners to get out and get involved in this election and 2) Romney selected Paul Ryan, Glenn Beck's soulmate, to run with. 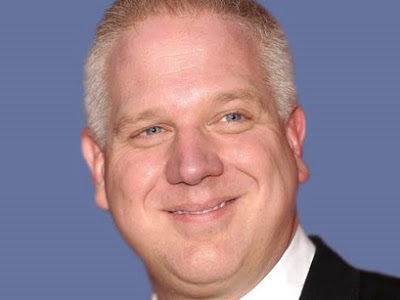 Liar Beck, of course, is accusing the President of lying. Beck is a professional liar, a deceitful propagandist, and to have him point his finger at anyone and accuse him or her of lying is one of Beck's greatest (of many) examples of hypocrisy.